This stage play of four disabled and six non-disabled dancers, speaks of beauty in a non-conventional manner; what really is beautiful and what is not? What are the parameters for judging the beautiful from the ugly? Is there any such thing as a perfect body or a perfect human or a perfect dancer? How does beauty manifest through difference in abilities? 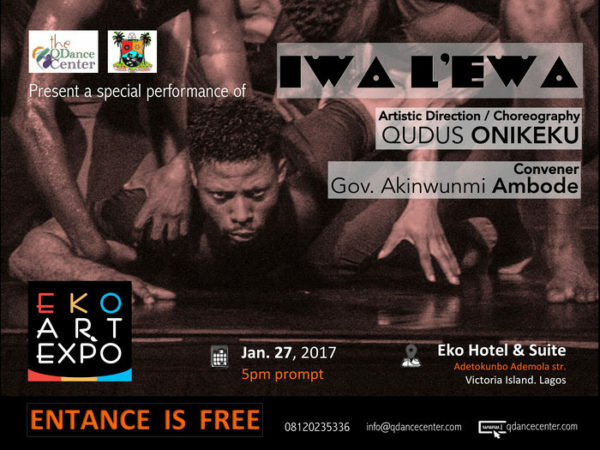 QDanceCenter will be at the Rasheed Gbadamosi Eko Art Expo in the company of Gov. Akinwunmi Ambode and Prof. Wole Soyinka, performing our breath-taking piece #IWALEWA. 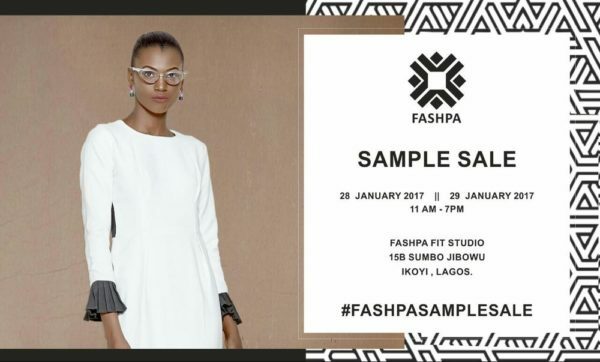 For all lovers of fashion, Fashpa (one of the top 5 Nigerian fashion retailers) will be holding its First Sample Sale – #FASHPASAMPLESALE this weekend. Limited samples from this and past collections will be available at the upcoming sale. I’m all about personal development and this is one event you should plan to attend. The “What’s On Your Mind” Summit was conceived to help form participants choices, value and belief system so much so that we begin to see every participant living true and free while effectively engaging within their communities in career, health, relationship and business. If you are an entrepreneur, this is highly recommended for you. Harvesters International Christian Centre, invites you to her January edition of “The Harvesters Entrepreneurs Forum (HEF)”, a monthly gathering of business professionals and entrepreneurs. The Forum aims to reach and equip entrepreneurs and people of similar inclinations with practical business knowledge to achieve and sustain economic success. The forum is targeted at high net-worth individuals, business executives and entrepreneurs with small to medium sized enterprises. The theme for this month is “Global Trends & Economic Indicators in 2017”. 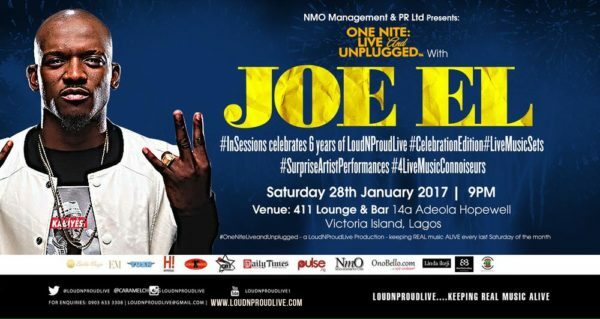 Join Joe El at an unplugged night as LoudNProudLive Series celebrates its 6year Anniversary.